Hi everybody! My name is Francesco and I'm an electrical/biomedical engineer, with a PhD in Biophysics (magnetic resonance imaging (MRI)). I am currently working as a senior researcher at the University Hospital of Basel (Switzerland). My main project is about flow measurement sequences (phase contrast) and motion artifact compensation. I'm black belt (II dan) in judo, and I am training the Judo club of the Basel University Hospital . 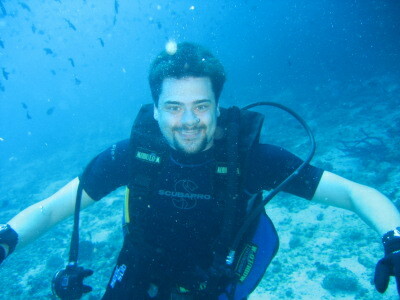 During these last few years I have been enjoying scuba diving in the summer, skiing and snowboarding during the winter. During the year, when I am at home, my hobby are computers and free software.